My daughter Lucia was born nine years ago. Nine months later I participated in my first Walk With Me. I got involved because Century 21 was a corporate sponsor and my firm Century 21 Advantage Gold had a history of supporting local Easter Seals efforts. Truth told I didn’t know much about Easter Seals. I got involved because it was fashionable to support a worthy cause. I met so many great people during my first Walk. Most rewarding was meeting the children and the families impacted by Easter Seals. The kids were so full of excitement it was infectious. Some had difficulty communicating and others had mobility challenges. What they all had in common was a proud sense of accomplishment and a passion for life. I was forever changed. It was like someone opened my eyes to show me a world of hope in a sea of obstacles. I looked at my healthy nine month old daughter sitting in our jogging stroller and appreciated our many blessings. Lucia smiled at me in much the same way the Easter Seals kids grinned at their parents. My wife and I walked that day and toward the end I picked Lucia up out of the stroller and held her hands so she could walk the final twenty feet. When we crossed the finish line a bunch of walkers and volunteers gave us high five’s. Since that day Lucia and I have participated in Walk With Me each year. She is nine years old now and the Walk is one of her favorite days of the year. Every year we meet wonderful new people, many who are battling significant challenges. In the early years Lucia and I couldn’t help but see the differences. In recent years I’ve noticed a significant change. We have become more aware and now seem to focus more on our many similarities. The kids and their families are not so different from ours. Sure they may need help walking or communicating but they laugh and cry just like we do. They push themselves to try new things and get really frustrated when they don’t excel just like us. Their families support each other much like ours. Their smiles also light up a room. I am so proud of Lucia and our family. We love participating because we meet new friends and take pride in helping others overcome their challenges. Today we see beyond someone’s limitations. We now see their inner strength. We are part of something special and it’s more rewarding than words can describe. This entry was posted in child stories and tagged Century 21, Century 21 Advantage Gold, Easter Seals, Easter Seals of Southeastern Pennsylvania, volunteer, Walk With Me on May 9, 2016 by Easterseals. Children at the Yaffe Center were delighted to meet, pet and brush Beesly, a service dog in training from Paws & Affection. Beesly, a handsome white Labradoodle with a calm and friendly disposition, demonstrated some of his many skills to the children and staff. He can turn on lights, pick up dropped objects, open a door, and give a person a steady body for support when the person gets up from a chair. Each child had the opportunity to touch Beesly’s soft fur and stroke him with a grooming brush. 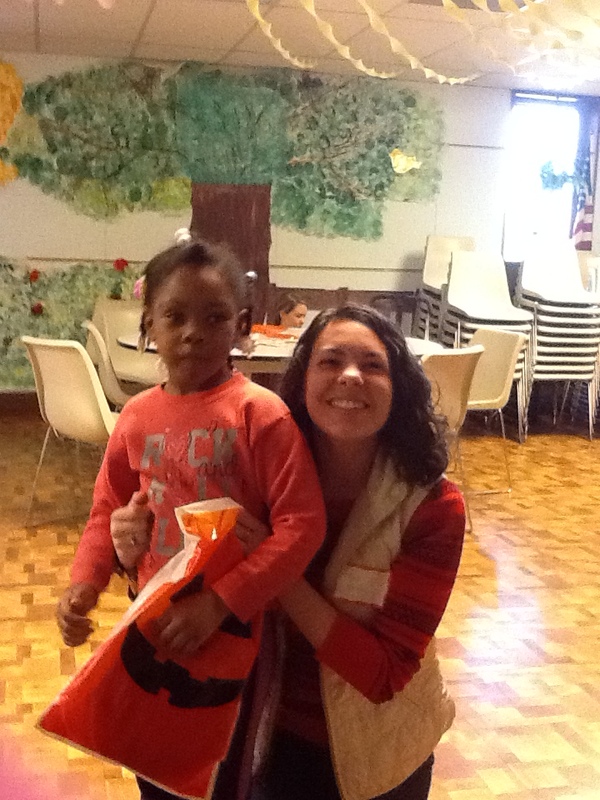 Beesly loved the attention and the opportunity to make the children happy. Beesly was accompanied by the directors and trainers at Paws & Affection, Laura O’Kane & Susie Daily as well as board member and dog trainer, Michaela Greif. Beesly will be ready for a full time service assignment this summer in either a facility environment or with an individual with physical disabilities. In the meantime, coming to school helps Beesly learn how to interact in a new situation with a wide variety of people. We are excited that Beesly will be returning to the Yaffe Center on a regular basis. Beesly’s second visit yielded even more excitement than the first. All of the children were more alert, excited, engaged and relaxed with their new friend. 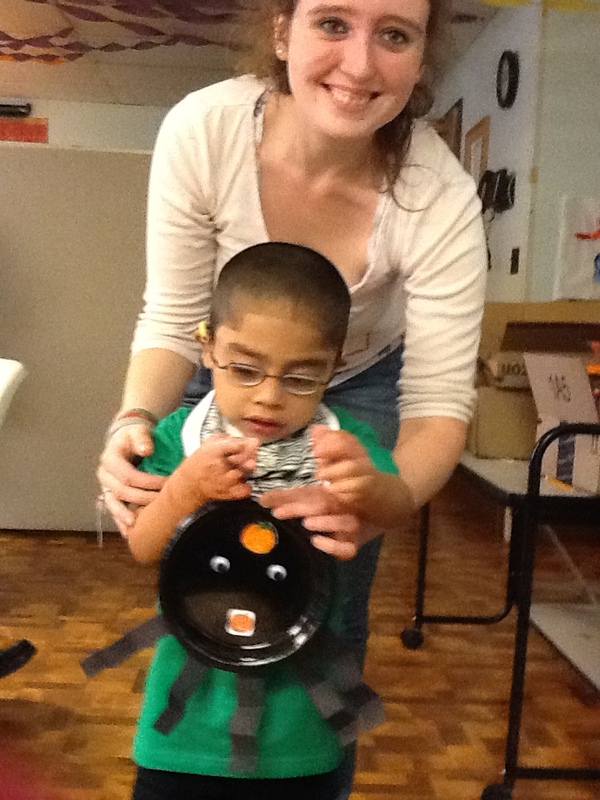 During the recent visit, Beesly started working on some functional activities with our children. 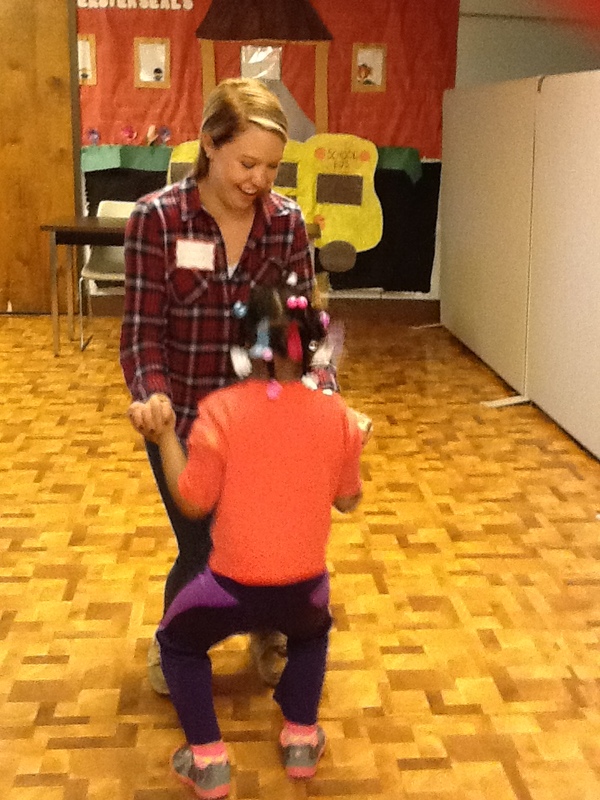 He helped a few children transition in and out of chairs, stand up from seated positions and stabilize themselves in order to stand and do an activity unaided by staff. This support enabled the children to be more independent despite their physical limitations! 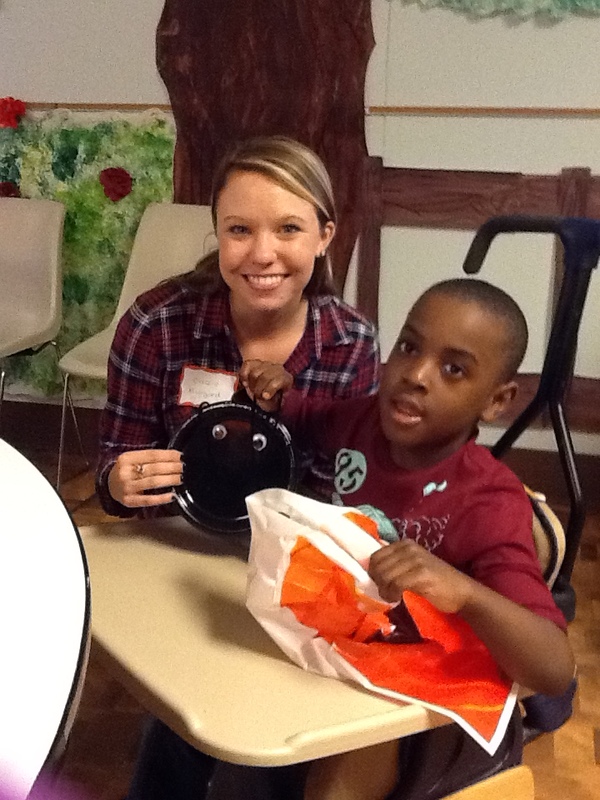 Beesly would also “get” requested objects and take them to the designated child or staff assisting children as part of their circle time and group activities. Some of the children also worked on fine motor skills such as opening their hands and using pincher grasp to feed Beesly his well-deserved treats! Our children, of course, had plenty opportunity to interact with Beesly; and there was much affection going on by our children, staff and Beesly alike! Beesly has 3 more bi-weekly scheduled visits at Yaffe Center, after which time the Paws & Affection and Easter Seals teams will discuss additional opportunities for Beesly to work with our program. Paws & Affection aims to place service dogs with children and teens aged 9-17 who have physical disabilities. For more information about Paws & Affection please visit their website: http://pawsandaffection.org/ or call 610-949-0490. This entry was posted in child stories, General info and tagged Approved Private School, Easter Seals, labradoodle, paws & Affection, service dog, therapy dog, volunteer, yaffe center on February 16, 2016 by Easterseals. 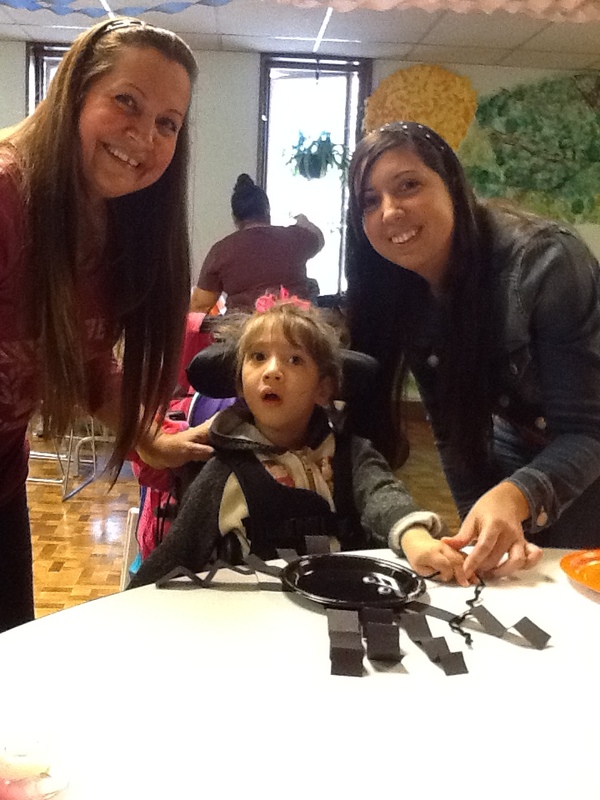 Easter Seals Bucks County Division was visited recently by three Repair Angels! Daniel Frank, a mechanical engineering graduate student at the University of Florida, recruited two of his friends, Adam Smith of Bethlehem and Corazón Irizarry of Philadelphia to help Easter Seals Assistive Technology Department get broken electronic toys repaired and back into the classrooms. Adam is an electronics technician and Corazón is a medical student at the University of Pennsylvania. Together these volunteers soldered, wired, glued and reconstructed dozens of toys. 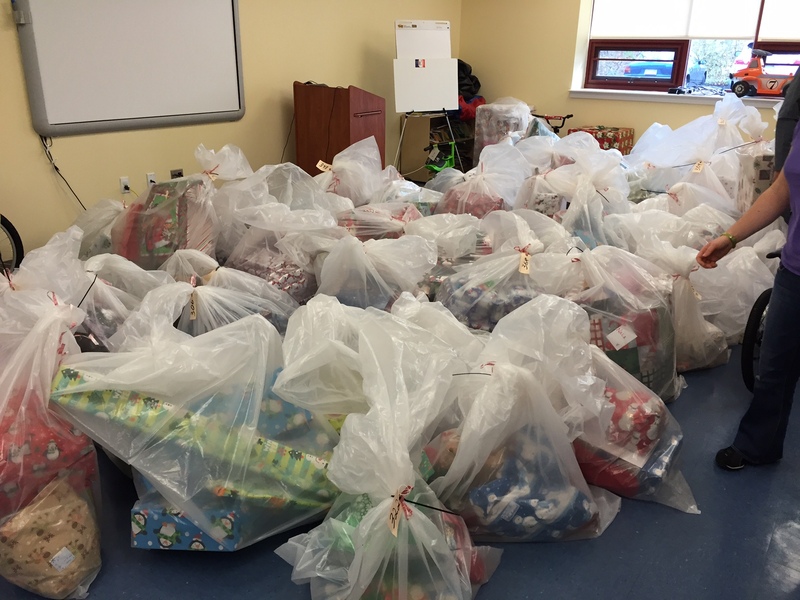 This saved Easter Seals thousands of dollars in replacement costs and more importantly, brought the toys back into the classrooms where children learn through play and manipulation of the toys. Thank you Repair Angels! 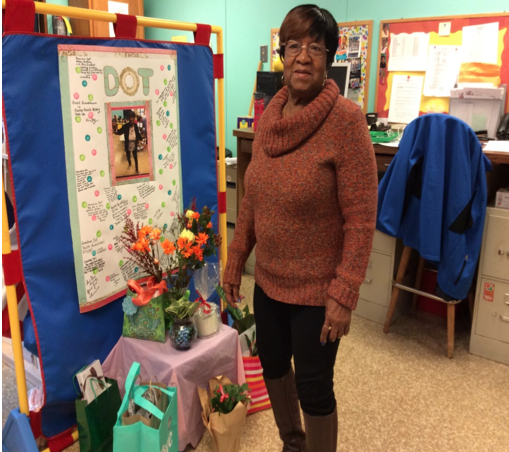 This entry was posted in General info and tagged assistive technology, Easter Seals, Easter Seals Bucks Division, Easter Seals of SEPA, Easter Seals of Southeastern Pennsylvania, volunteer on February 8, 2016 by Easterseals. 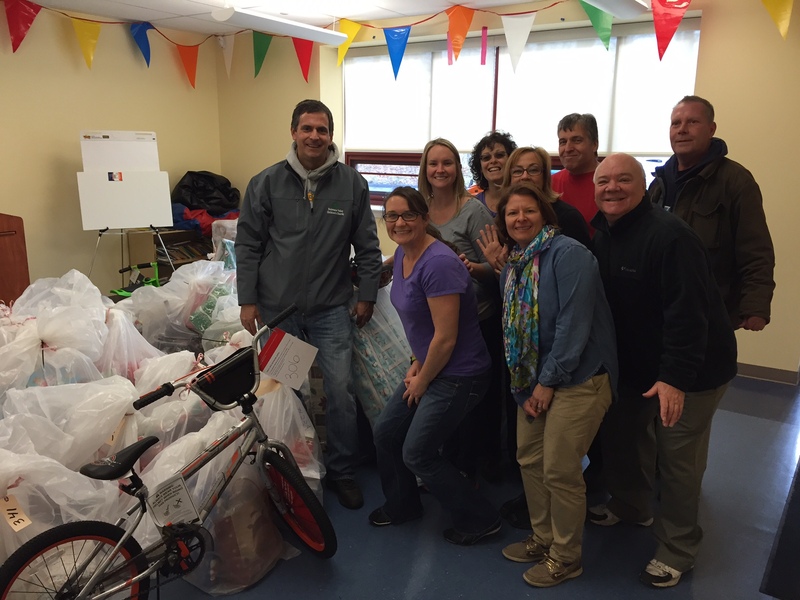 Delaware Valley Children’s Charity has been our community partner for decades. I’ve been here for 15 years and it started well before my time. 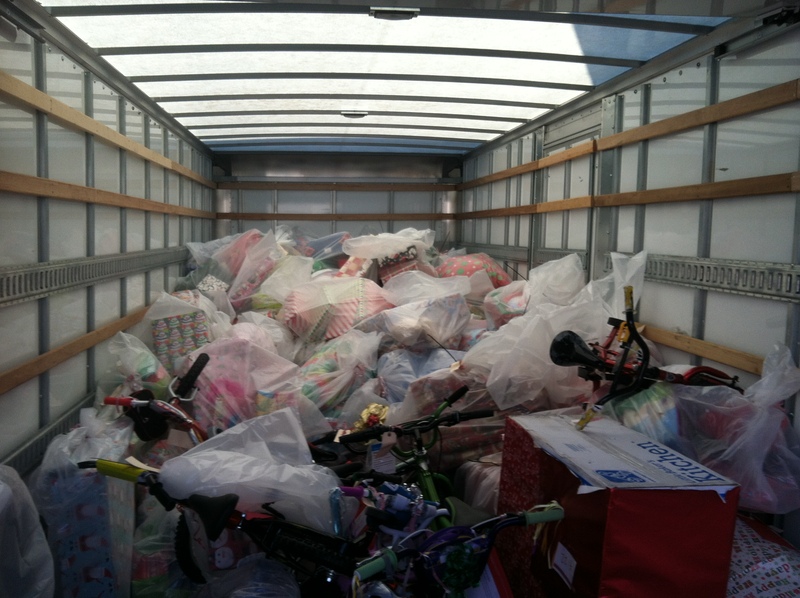 They are the link between our families in need and community members that want to help families during the holidays. We provide them with wish lists from our students and their siblings and they share that information with their participants. They support all of Easter Seals in Southeastern PA and dozens of other community organizations around the Philadelphia area. We are so fortunate to have them as a partner. It is this spirit of giving that makes the holidays magical! This entry was posted in child stories and tagged Christmas, Delaware Valley Children's Charities, Easter Seals, Easter Seals of SEPA, Easter Seals of Southeastern PA, Easter Seals of Southeastern Pennsylvania, families in need, volunteer on December 14, 2015 by Easterseals.